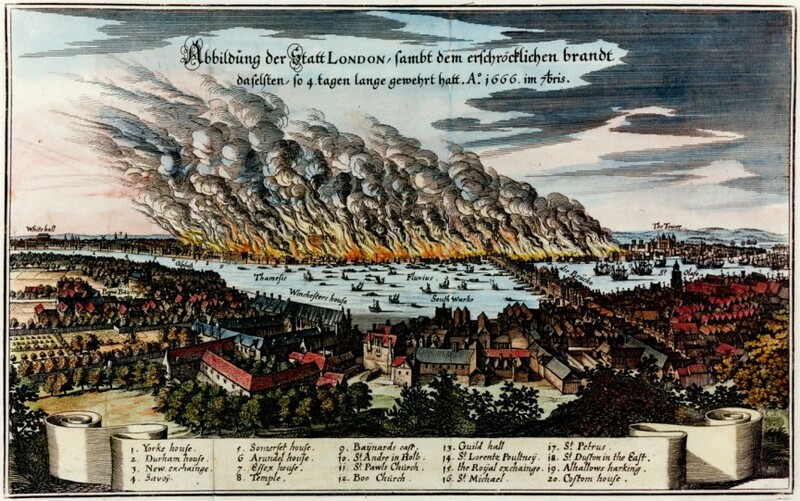 The Great Fire of London was a blaze that engulfed four-fifths of London from 2 to 5 September 1666, with most of the buildings destroyed dating back to the Middle Ages. Around 100,000 people were made homeless, although officially a mere 9 people lost their lives. Only a few months previously London had been hit by a catastrophe of a different kind: the last Great Plague of London.